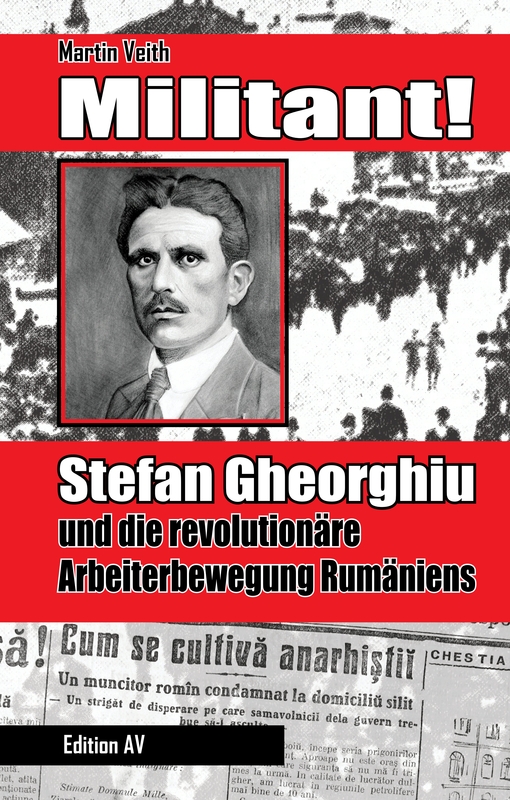 The revolutionary syndicalist and anarchist Ștefan Gheorghiu was already during his lifetime an icon of the workers‘ movement in Romania. With Gheorghiu nearly unknown abroad and deformed and monopolised by the social-democrats and the communist party, this study aims to draw an unaltered picture of this restless agitator and worker, whom the repressive state tried to murder. At the same time the book informs extensively about the development and the militant struggles of the workers movement in Romania till World War I. The study focuses on the syndicalist and anarcho-syndicalist currents. Also the struggles and political positions of the time come alive through selected original translations into German . Poporul Muncitor – Division of the syndicalist and workers‘ movement in the interest of the government? The fight against the cranes – forerunner of a social revolution? Postface: Class struggle – monopolising – neglect? 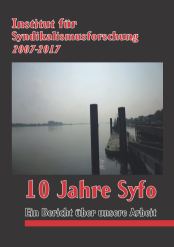 Dieser Beitrag wurde unter Biographie, Gheorghiu-Stefan, Musoiu-Panait, Rumänien, Sozialdemokratie, Syndikalismus, Transportarbeiter abgelegt und mit A. Galateanu, Anarchismus, Anarchisten, Ägypten, Bauernaufstand, Bauernkrieg, Botosani, Braila, Bukarest, Campina, Constantin Manescu, Galati, Gheorghe Dorobantu, Gheorghe Stroici, Iuliu Neagu-Negulescu, Janeta Maltus, Jules Durand, Maria Aricescu, Marxismus, Nationalismus, Nicolae Iorga, Nicolai Opran, Panait Istrati, Panait Musoiu, Petre Popescu, Ploiesti, Poporul Muncitor, Potemkin, PSDR, Revista Ideei, Romania Muncitoare, Siguranta, Sozialismus, Staat, Stefan Gheorghiu, Syndikalismus, Transportarbeiter, Tribuna Transporturilor, Vremuri Noi verschlagwortet. Setze ein Lesezeichen auf den Permalink.